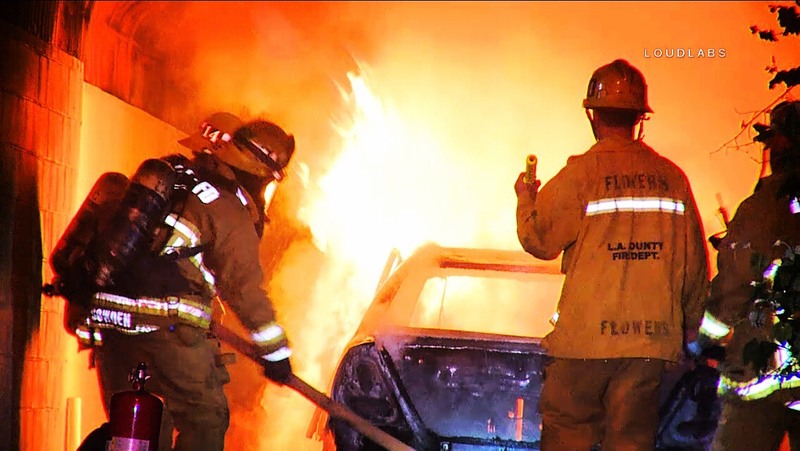 A car was set on fire in a alley in a residential area of South LA. LACOFD arrived to the vehicle fully engulfed with flame. It took about 10 minutes completely put out the fire. The fire did not spread to nearby homes or apartments.